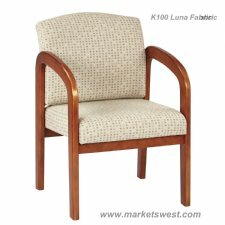 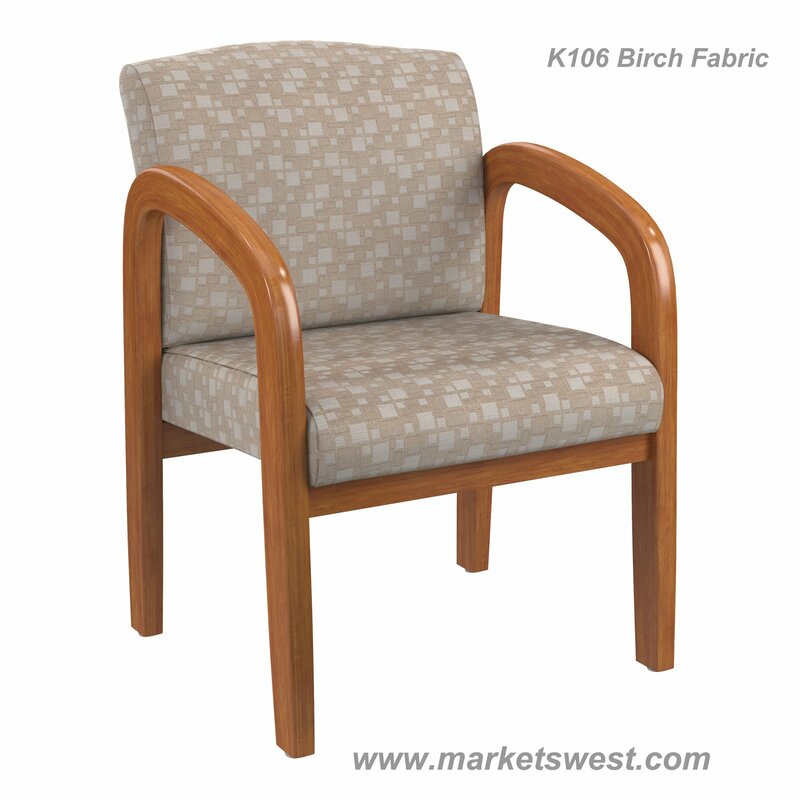 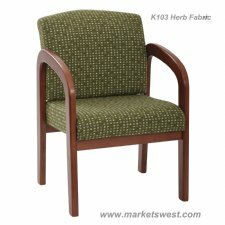 WD380 Mahogany Finish Visitors Chair. Thick Padded Seat and Back with Built-in Lumbar Support. 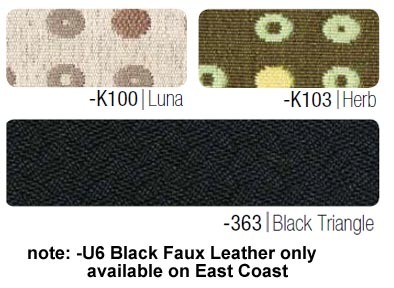 Available in -316 Taupe or -319 Moss fabrics, or U6 Black Faux Leather.